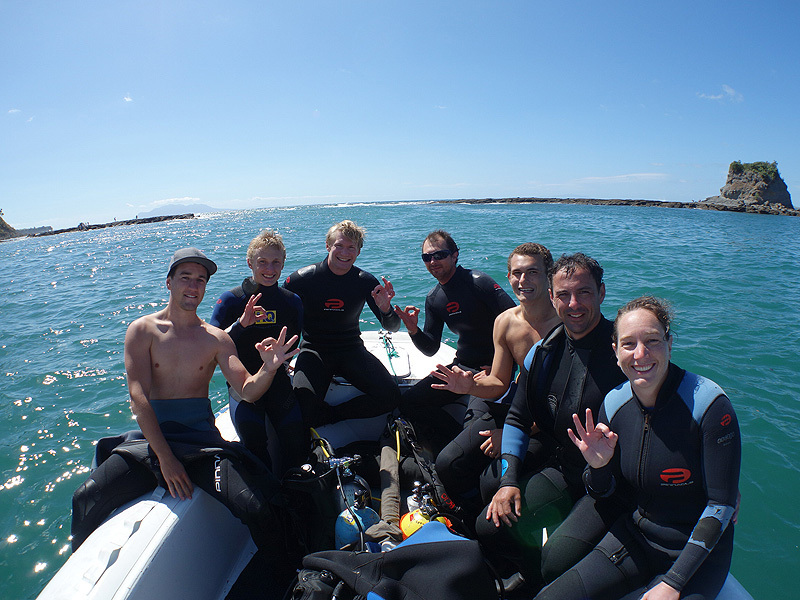 Congratulations to Michael, John, Mike, Harry, Geoff and Kate on completing their PADI Open Water course. A big thanks to Aaron, their instructor, for getting them through safely. 4 dives were completed in the sea over the weekend. 2 shore dives on Saturday at Ti Point where everyone was surrounded by so many fish that they could hardly see each other. 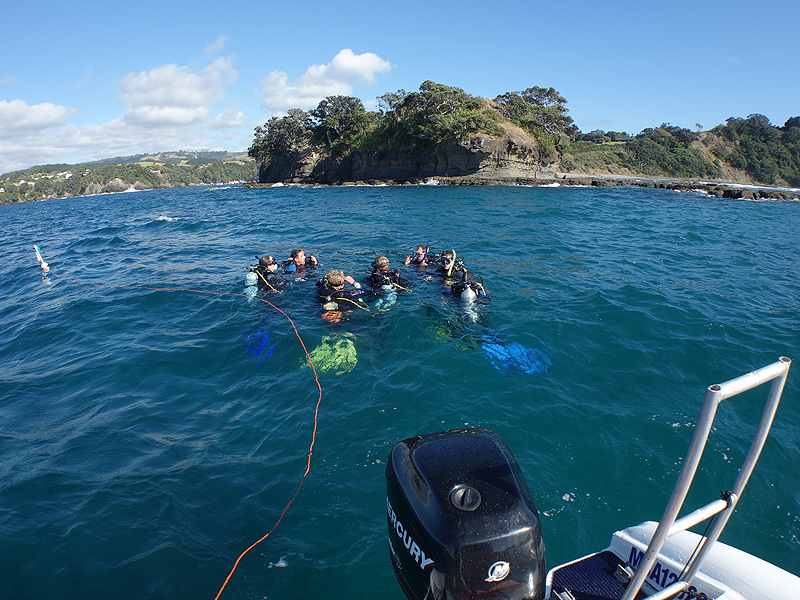 Followed by 2 boat dives on Sunday out from Mathessons Bay to dive the Outpost. The visability was 10m+ with 22 degrees water temperature at the Outpost. It was smiles all round as everyone surfaced from the last dive as certified divers. Aaron, Michael, John, Mike, Harry, Geoff and Kate. There is no better time to learn at the moment with the great weather we are having and the warm water temperatures towards the end of Summer. Our next couple of courses are already filling up fast but it’s not too late to contact us and learn how to dive. For more info go to our PADI Open Water Courses page.